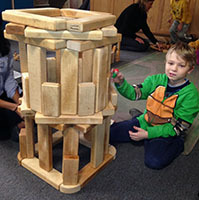 Our preschool-kindergarten program is for children ages 3-7. Students attend school five mornings a week, under the care of our attentive special education teachers. Maintaining a small student to staff ratio of 2:1, our teachers are supported by licensed child and family therapists and student interns. In a language rich environment, we teach our students about navigating themselves throughout a school day, as well as how to manage when times get hard or overwhelming. We use visual aids and a predictable schedule to build student's endurance and help decrease their anxieties of the new and unknown. We listen to what they have to say and teach them appropriate language to express themselves. While adhering to the core curriculum, our students build confidence and make friends. Parents engage in a parallel process attending a weekly parent group that includes classroom observation. This critical parent component allows parents to learn along with their child, gaining the tools and support necessary to help their child thrive academically and emotionally. Our school curriculum includes occupational and speech therapy when indicated. BEIG, is often a first step for our families. This 15–week program is designed for children ages 2-5 and it's here where many children experience their first positive peer interactions. Children attend our small play-groups twice a week, and once a week for individual family sessions. 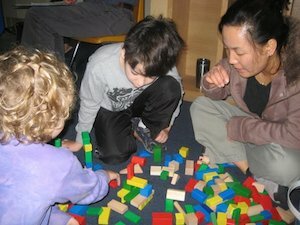 These individual sessions, facilitated by family therapists, help parents’ process what is happening in the play-group giving parents new understanding and insights into their child’s behavior. Working with parents and their children ensures the whole family develops the tools necessary to support language and interactive play. Our family counseling program is what makes us unique. 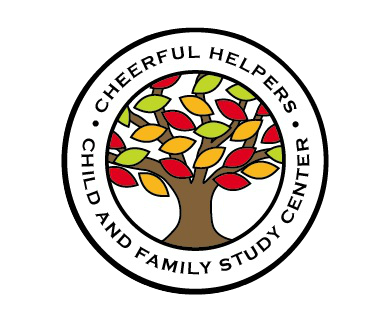 Knowing children's growth and development is best supported when parents understand their child's behavior and needs, this group meets weekly and is facilitated by a licensed family therapist. Parents are supported as they explore their feelings and concerns related to their child's social and emotional development. Documentation for medical insurance claim submission can be provided. Connecting with peers is not easy for everyone. 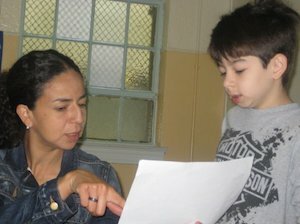 Through our social skills program, for children ages 3 -7, students learn to share ideas and listen to others. They gain basic skills to feel successful on the playground, in the classroom and at home with family. 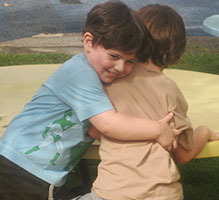 Our small playgroups, composed according to age and developmental ability, meet twice a week. Parents meet once a week for a parent support group that includes observation and discussion. Many students attend social skills while remaining enrolled in a school program. Our groups, facilitated by child and family therapists, are designed to enhance peer relationships and teach children about their feelings and how to appropriately express them.